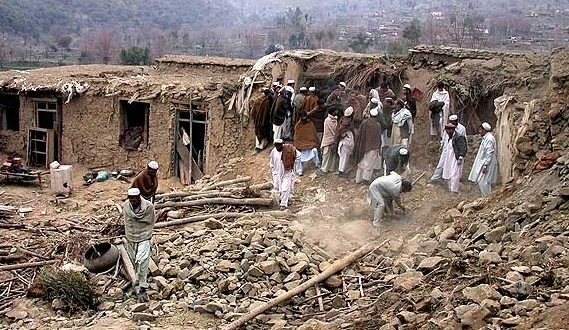 Recently Afghanistan has witnessed a spike in American aerial bombardments as well as the use of heavy artillery by the Kabul regime forces. Since the former is usually based on bad intelligence and the latter is deliberately used indiscriminately, we have seen a steep rise in civilian casualties resulting from these twin developments. The UN has also confirmed in its latest report that foreign raids are causing more and more civilian casualties. Foreign aerial bombardment, artillery bombardment and night raids by their nature, blind strikes into what are essentially civilian centers and consequently civilian lives are invariably lost and civilian infrastructure is adversely affected. The foreign occupiers have adopted a policy of see-nothing and hear-nothing with regards to these casualties in spite of all the lobbying calling for the acknowledgement of these losses and the eye-witness accounts confirming the high toll on civilians. Yet the few times that the incident does gain media attention the regime and their foreign benefactors double-down on their claims and accuse the Mujahideen of using civilians as ‘human shields’ and intentionally hiding in civilian centrers. However when the civilian families affected by these raids show evidence proving that no combatants were in the area at the time of the attacks then the regime simply issues an apology and white-washes the whole incident. The regime of Ashraf Ghani has even outdone itself by refusing to condemn incidents where the foreign powers admit the loss of civilian lives and apologize for the mishap. The Kabul regime and their foreign patrons don’t even have an organ that independently investigates incidents causing civilian losses, apportioning blame for the losses and holding those responsible accountable. The Islamic Emirate on the other hand, has set up an organ for the precise purpose of investigating civilian losses and preventing their repetition. These department also prosecutes Mujahideen involved in the incidents in Shariah courts. The escalation of civilian loss is a most regrettable development. The foreign occupiers and the regime should stop tactics causing such indiscriminate loss because the killing, torturing or imprisoning of civilians will never elongate the life of an illegitimate government, rather it will only speed up its inevitable downfall.